Home / Articles / 2011 / 2011 Salary Survey: Are Things Looking Up? Check out the 2012 Salary Survey results. Click here to see why we say that salaries are moving ahead, slowly. 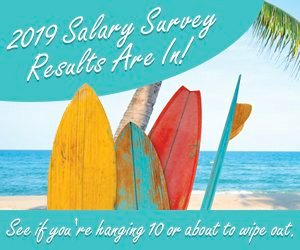 Pay raises and bonuses are on the rise, according to the results of Chemical Processing's 2011 Salary and Job Satisfaction Survey, although much else remains the same compared to last year's poll. An increasing number of chemical processing professionals say they received a salary increase this year. Last year, only 37% garnered a pay raise within the past 12 months. That number has now jumped to 56% (957), indicating the economy and the industry are on the mend (Figure 1). But many respondents were quick to point out that the salary boost wasn't enough to make up for past pay cuts or wage freezes. "We had a salary freeze in 2009, and for 2010, no effort was put into making up for that lost salary increase ...we got a paltry 2.5% this past year," grumbled one reader. "Although raises were re-established at the beginning of 2011, this followed a year [with a] 7.5% pay cut, 401K match suspension, and [another] year of a salary freeze. The raises did not compensate for those past 2–3 years of lost compensation. The cost of benefits, meanwhile increased during that time," noted another respondent. While salary increases provide a positive outlook, concerns about job security are split -- 51% said they aren't worried, while 49% voiced concern (Figure 2). These results are similar to last year's, although the concern was slightly higher then (52%). In addition, 49% report a slight chance they could be fired or laid off in the next two years and 23% indicate a moderate chance (Figure 3). HOW MUCH DO CHEMICAL ENGINEERS MAKE? In addition, the average pay raise was 4.34%, rising for the first time since 2009. In fact, 7.44%, of respondents received pay increases exceeding 10%. In comparison, only 3.64% had pay raises of 10% or higher in 2010. Average bonuses also edged up to $6,102 compared with an average $5,835 in 2010. While most readers (59%) believe they're adequately compensated, many expressed frustration that benefits are declining. "Compensation is adequate, but I could do better by going to another company. [My current] company used the excuse of ObamaCare to more than double my health insurance premium," complained one reader. "Benefits are very good, unfortunately the expectation is everything will be cut, particularly retirement benefits," echoed another. "I currently feel fairly compensated, blessed and fortunate in this struggling economy. However, the upcoming inflation and my not-terribly-distant retirement make me focus on maximizing my compensation as the economy struggles to recover," commented a respondent. Approximately 26% (450) of respondents report staffing levels have increased in the past 12 months, compared to just 16% last year. However, 46% (794) note staff levels have not changed from 12 months ago. Most respondents (91% or 1,545) say they work directly for an employer versus 9% (148) that work as contractors. In "Better Times Beckon for Contract Engineers," Chemical Processing reported contract engineering positions are on the rise. Of those working as contractors, 58% (90) report their positions had no fixed term. More than 22% (35) indicate their work would last over one year and 13% (21) said their contracts ran between six months and a year. "[My position] is a contractual job and hourly salary rates are normally high. It also depends on the project and the type of industry and company. Oil and Gas right now are really paying you good money especially in the offshore area," said one respondent. On the other hand, "Being a contractor means no benefits. The economic woes of the world have given an excuse to corporations to hire people at lower rates," complained one reader. Similar to last year's results, the majority of respondents (42% or 700) are satisfied with their jobs (Figure 4). Nearly 12% (203) said they are extremely satisfied. About 38% (644) rated their job satisfaction as just "okay." Only 8% (137) report a low level of job satisfaction and less than 2% said they're not at all content. As in the previous year, the challenge and stimulation of the work lead to a high degree of satisfaction, according to 72% (1,232) of respondents (Figure 5). Salary and benefits follows at 56% (959) as the next leading factor in satisfaction. Other factors readers say contribute to a highly satisfying job include: colleagues, 46% (787); the work environment, 42% (715); and making products that help people, 33% (569). Lack of recognition remains the top frustration for most respondents 42% (655) (Figure 6). "The recognition is typically not very good for the amount of effort you give, but the field is challenging and rewarding in other ways," remarked one survey participant. Other leading gripes include the hours and workload, cited by 28% (445), as well as salary and benefits, noted by 26% (416). Several readers report having to do more -- and for much less. "Compensation is flat, and not increasing as promised, but I'm still asked to do more. My position has advanced as far as responsibilities, but the title and compensation have not," groused one survey participant. Respondents are split on the public's negative opinion of the industry (Figure 7). Nearly 38% are somewhat concerned about public opinion but another 38% remain unconcerned. Only 12% (211) are very concerned about public opinion and 11% say they aren't at all concerned. Despite the split view, many respondents agree the public's perception could change with more positive media reports on the industry and improved corporate responsibility. "Companies certainly have to do their job and go beyond the minimum regulatory requirements. If you do, and put safety and company image as a priority, you will be doing your part in improving the image of our industry," suggested one reader. Another respondent proposed: "Engage, engage, engage. Host visits. Sponsor educational meetings in the schools and community. Sponsor emergency response training for local fire, police, EMT and other related departments. Volunteer the services of plant emergency responders into these functions for off-site emergencies. Maintain best-in-class safety, health and environmental performance. Be the employer of choice and the neighbor of choice, and your community will choose to support you and your continued 'social license to operate.'" Dennis Glascock, process design and heat transfer lead at ConocoPhillips, Houston, TX., was randomly selected as the winner of an 8-GB iPod Touch offered by Chemical Processing as an incentive for participating in the survey. "Thanks! I am very surprised to win. My Dad was always the lucky person in my family, so God bless my genetics!" he said. We appreciate the answers and comments we received from all of this year's survey participants. Amanda Joshi is Chemical Processing's Managing Editor. You can e-mail her at ajoshi@putman.net. Not many respondents feel their jobs are in jeopardy.